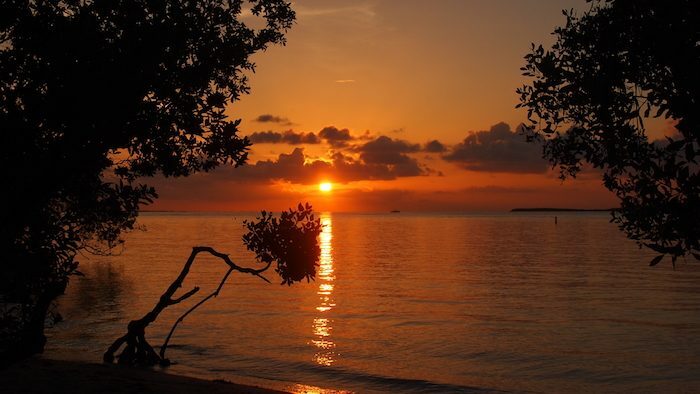 The Florida Keys are a string of tropical islands stretching about 120 miles off the southern tip of the U.S. state of Florida, from Key Largo to Key West between the Atlantic Ocean and Gulf of Mexico. A single road, Rt. 1, connects some 800 islands. Our guide to running in the Florida Keys and Key West features some unique and spectacular waterside running. 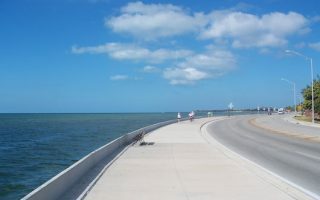 The signature route in the Keys is the paved 106 mile Overseas Heritage Trail, running on the former Flagler railroad track. We have a detailed description and route map of the best sections for running the OHT. Charming and fun Key West has some great running, including several miles along the water, and a fun ‘running tour’ of Old Town and some of the side streets. 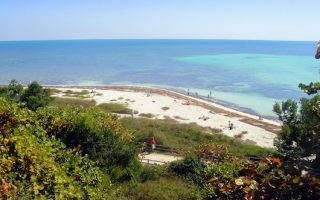 Other running highlights in the keys are several options in Key Largo, near Marathon, and Bahia Honda State Park. Note that although there are beaches in the Keys, they aren’t long and don’t feature good sand for running. Also, the open views to the west allow for some fantastic sunset running. You will need a car in the keys, although buses do run along Rt.1. Also, be aware of the weather, which can be hot and windy. The former Flagler railroad is now a 106-mile paved trail paralleling Rt. 1 between Key Largo and Key West. Some wonderful sections, including historic railroad bridges. We've included a detailed map with some of the best sections. Great running at Floridas's southernmost point, 1 mile wide and 4 miles long: 10-mile perimeter tour, mostly waterside paths; S. Roosevelt path to Southernmost Point; palm-lined waterside path along N. Roosevelt; Ft. Zach Taylor Park; Old Town streets. This is a nice opportunity to enjoy some of Key West's highlights: boardwalk paths, a loop around Fort Zachary Taylor State Park, and some pleasant interior streets. We've created a 5.7 mile loop, but it's easy to modify. The northernmost point of the keys. Start of the 106 mile Overseas Heritage Trail. The lovely Key Largo Hammock Botanical State Park has a marked 3-mile trail. Ocean Bay Dr. and the neighborhood streets are pleasant for running. Good sections of the OHT just north to Tom's Harbor Cut, and just south to Knights Bridge/Pigeon Key. 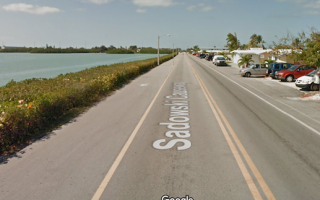 In Marathon, Coco Plum Dr. is a nice 2 mile one-way road, or the Sadowski Causeway to East/West Ocean Dr. Known for gorgeous white sandy beaches and great snorkeling. One of the better running opportunities outside the OHT, and off of Rt. 1. There is a 3.5 mile paved road, popular with bikers and runners. There isn't too much traffic. 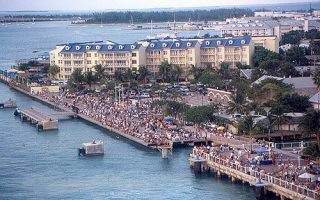 Key West has the most tropical climate in the United States. The weather is warm to hot, and humid, year-round. Winters are a bit drier and delightful, with high temperatures in the mid-to-high 70s (23-25C), with nights staying warm. It rarely dips below 60F (16C). Summers are sultry, with daytime temperatures near 90F (32C) from June through September, with near daily thunderstorms and monsoonal rains August-October. Nights in summer average near 80F (26C) and rarely dip below 70F (21C). 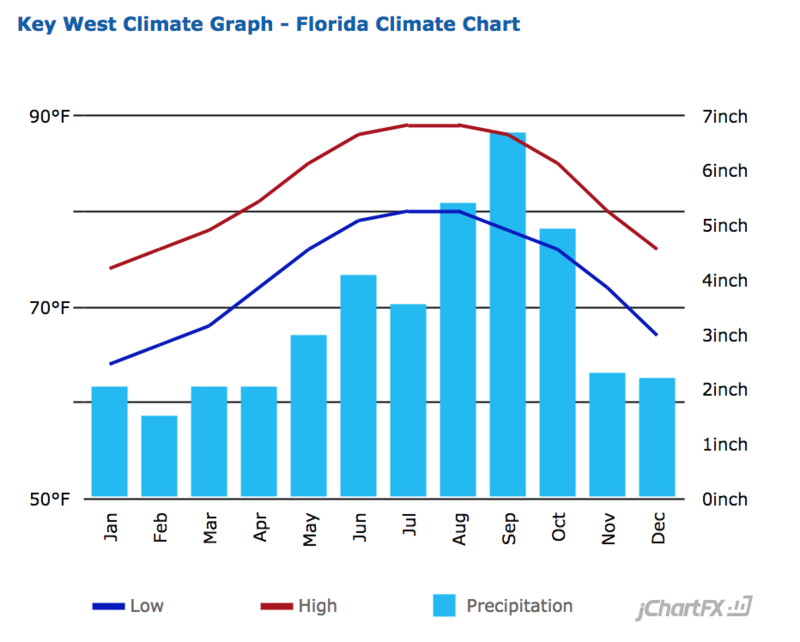 Rain is heavier and more frequent from June-October. Hydrate accordingly! The coolish weather that can occasionally hit south Florida rarely gets as far south as Key West. The Florida Keys gets tons of visitors. Pretty much anywhere you stay in Key West inside of S. Roosevelt Blvd. will provide access to great running options in Key West. 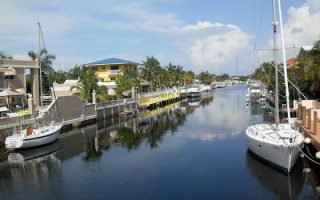 In other parts of the Keys, try to stay near some of our favorite spots for running along the Overseas Heritage Trail. Marathon provides access to some of the best running variety in the Keys. Sugarloaf Key also has some nice sections across the the Saddlebunch Bridges. There are no dedicated running stores that we know of in the Keys, or in Key West. For Group Runs, the Key West Southernmost Runners is a great resource for running events, group runs, and more. Keys Running Event Calendar — check out page on Southernmost Runners. Southernmost Marathon and Half. Running festival in Key West. First weekend in December. 26.2, 13.1, 6.2 or 3.1 miles of ocean and gulf views, as well as iconic Key West landmarks. USATF certified. Hemingway Sunset 5K & Paddleboard Race. July. Seven Mile Bridge Run. Marathon. April. 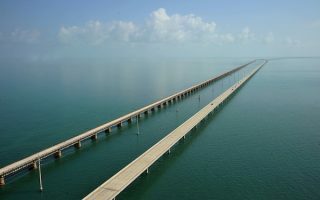 The only marathon that is held entirely across water, and with views of the water from both sides, it really is a spectacular addition to the Florida Keys calendar. Half Shell Raw Bar Half Marathon. Key West, January. Race through Key West’s historic Old Town and waterfront areas.